Whilst visiting Domino Records to grab a copy of the amazing Middle Kids EP, my eye was caught by a beautiful gold LP. The band behind this glorious piece of spinning wax was Little Cub, and after some investigation I chose to take the risk and order the LP. Boy oh boy, am I happy that I did. Not only is it one of the most gorgeous LPs I’ve ever seen, but what lies within its grooves is sheer synth heaven! 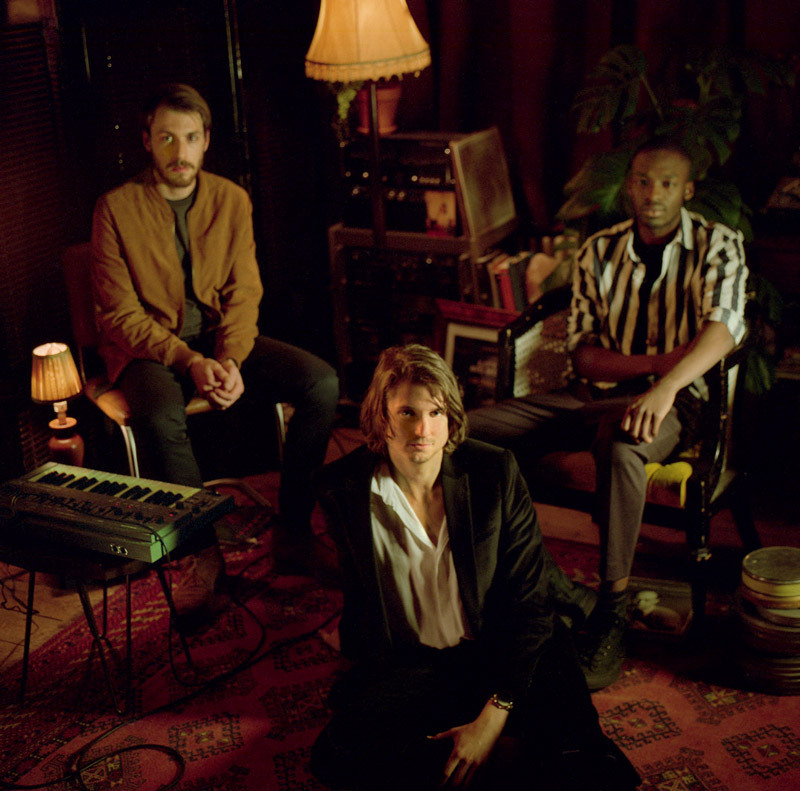 The best way to describe this South London trio is soft indie lo-fi synthwave pop…I know, it is a mouthful, but it sums them up perfectly. Every track on the LP is a masterpiece of modern synthwave composition, evoking actual and assumed 80s nostalgia. Then layered on top is a vocal style that is relaxed, pulled-back, lo-fi but engaging and oh-so-wonderful. There’s a bit of Morrissey, New Order, Talk Talk, Pet Shop Boys and Lightning Seeds in here…but it is much more than mere homage. This is a very modern indie take on what made those 80s synths and mournful lyrics so important. This is revelatory street-level storytelling with rhythm and swagger. This is synthwave poetry, making you think and boogie in equal measure. Each and every track takes you on a journey…albeit it in a Lamborghini Countach whilst wearing a big shouldered suit and Aviator shades! I love this album, am overjoyed at taking the risk of buying something unknown, and hope Little Cub keep evolving their sound and releasing incredible music for decades to come. The LP is an astonishing piece of vinyl, the gold colouring is eye-catching, and the sheer weight of the thing (almost like two traditional LPs glued together) is shockingly pleasing. Thumbs up to the band, the label and the manufacturer!